Specially for food lovers and those -like me passionate about food and cooking lovers! It is beautifully made, easy explained and incredible well designed! Love the photography and all tips given at the end of each recipe. Very healthy and very very very environmental-friendly. Extremely well recommended to all of those eager to explore new ways and more healthy / sustainable ways to cook and eat. Thanks for such a beautiful work!!! This app is so beautiful. 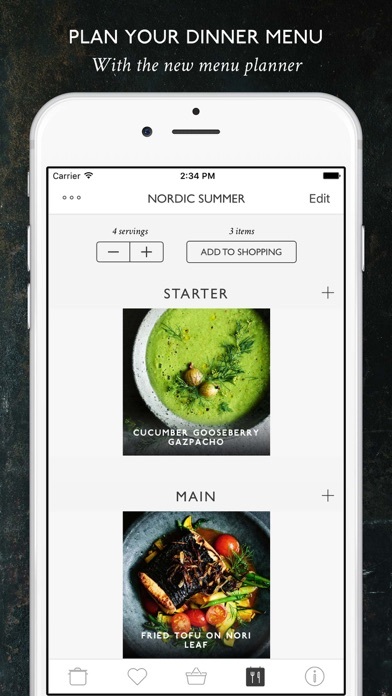 This app is so beautiful, the user experience is better then any other food app I have, and the recipes are to die for. Loving this app so much! Kudos to both the chefs and the app designer. What a beautiful end to end experience. Right from the photography to a freshness in the variety of recipes to being user friendly. Just in awe. I am not a vegetarian nor a vegan but I do my best to eat more meals wth vegetables and grains. A couple of years back, a friend from Hamburg, Germany suggested I have a look at Krautkof's site [thankfully, they have an English version of their posts/receipes]. 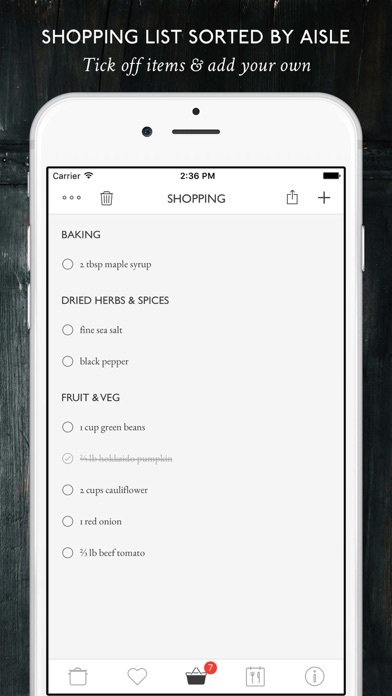 I find this app very easy to use and includes a lot of practical functions; you can add all of the ingredients to a list in one click [or at least what you need] and the best part is that that list is automatically broken into categories which is such time saver when I am at the market. Normally, I do this on my handwritten list. I've taken this to the famers market/super market without having to sit down the night before to plan out my list(s). I've made the Veitnamese [my people] Rice pancakes and also the vegetable curry - both were so good and relatively easy. I make Indian dishes as well as bake with spelt / buckwheat/ whole wheat quite often and was so glad that a lot of the recipes utilitze these ingredients. A few of their terminology for various flours are European so you may just need to google it for translations [e.g. spelt flour type 630 = white spelt four here in the US - which is different from just "spelt" flour]. Also, the other ingredients should be easily accessible to most people as it is here in Los Angeles. 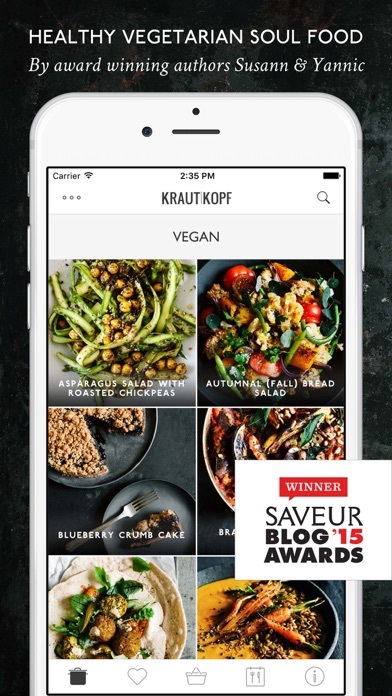 Being a "non-vegan/vegetarian", I find the recipes that Krautkopf presnet in this app are more relatable [not sure that's the right word] to the average person like me. I'm very happy with this app and look forward to trying more of the recipes!! The recipes are very unique and for a recently turned vegetarian are very inspiring (not to mention the photography is breathtaking). The reason, however, I'm rating this only 3 stars is that the recipes are difficult to follow with some of the instructions unclear and (in US measurements) weird ingridient porportions (like 2.3 tomatoes...). I did try making some of the recipes and some were successes but others not so much! I'll keep giving it a shot though since there are some truly creative recpies here. I bought the app partially on a whim, and partially because I like to support healthy content creators, but, alas, the recipes throughout are just way too heavy for my liking, and can't fairly be referred to as different for each season. There were dishes that I was very surprised to see in the Spring and Summer sections, but if breads/grain dishes, casseroles, and the like are a part of your regular eating, then this is plentiful, and beautiful. Definitely not for those of us that lean towards the fresh and light end of the plant-based eating spectrum. If that's what you're looking for, try Green Kitchen Stories apps, instead. I have been following Krautkopf blog for a while now. 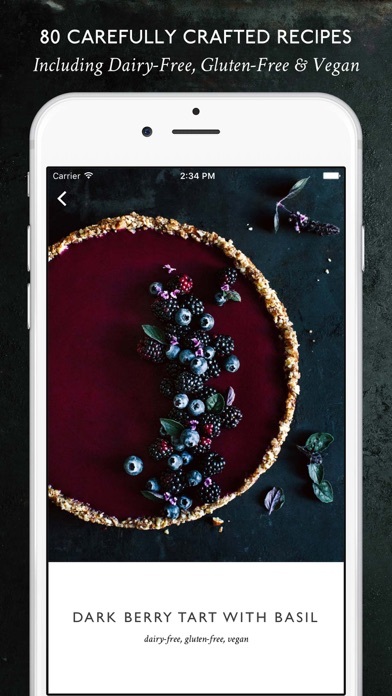 So when I found out there will be an app with their beautiful food and stunning photography, I was elated. 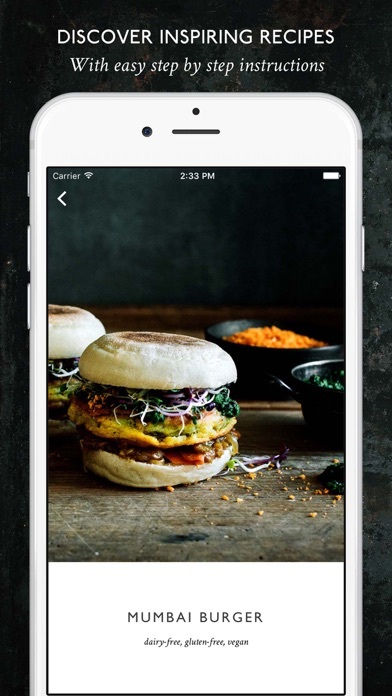 If you are looking for globally inspired, seasonal vegetarian recipes this app will not disappoint you. It's beautifully laid out and easy to use. Well done Susann and Yannic.